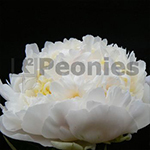 Cheddar Cheese is a very strong Peony with dark foliage and large flowers. The flowers are Ivory White with large yellow stamen in between. The fragrant flowers bloom in the middle season. Cheddar Cheese is a beauty in the garden. For ordering please contact one of us below.